Suitable for all types of cooking equipment whether wall mounted or in an island arrangement. The canopy uses the principles of induction by delivering air into the canopy envelope from the inner front edge of the canopy. This air can be drawn directly from outside the building and because it is not necessary to heat (or cool) the air there are positive savings to be made in energy costs. 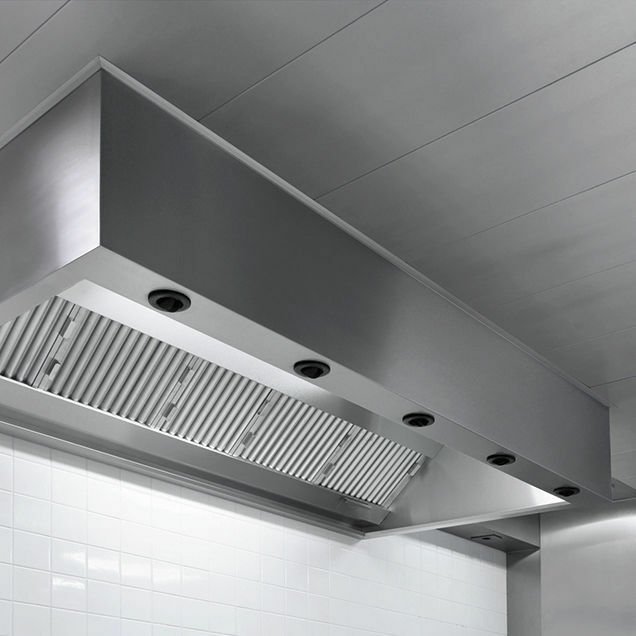 The induction effect produced by this type of canopy enhances the capture and containment of the thermal plume from the cooking process and reduces the potential for the contaminated air to spill out into the kitchen area. 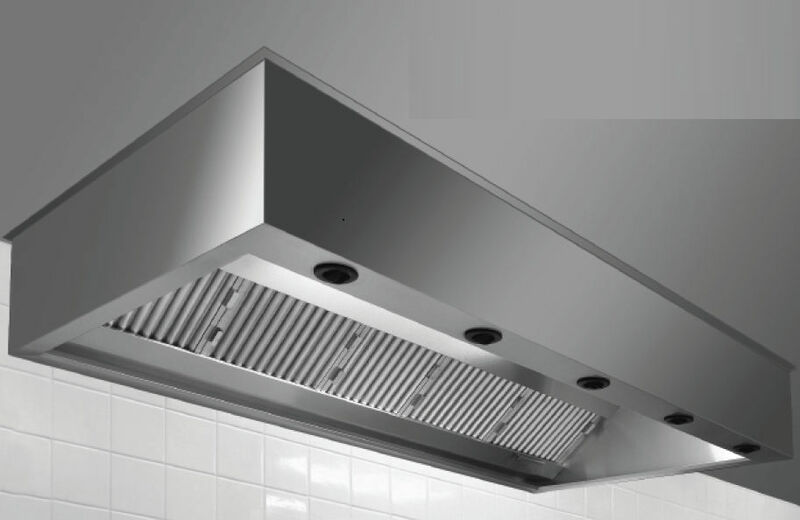 The ENERGY SAVING COMPENSATOR canopy is fabricated entirely in type 304 stainless steel (1.0 – 1.2mm) thick. All visible surfaces are ultra fine grain polished (320 grit) and polythene protected. The canopy is cut, punched and folded into seamless sections up to 6m in length and factory assembled by means of computer controlled seam welds and non visible mechanical fixings. Joints are provided with internal cover-plates so that no joints or mechanical fixings are visible. All metal edges are rolled smooth and are free from sharp edges and projections. The canopy lower edge is formed into a condensation channel with inclined internal elevation to simplify cleaning and the inner edges are crush folded for safetypurposes. The canopy is equipped with Vianen Fecon grease extraction baffle filters. The filters are designed to allow the grease to run off the filters into an integral grease collecting channel and then into easily removable grease trays. The canopy has a constant exhaust pressure drop of 100 Pa and a supply air pressure drop of 40 Pa.